Anthonys Restorations, curved glass, antique cabinet glass,glass slumping,Riverside CA. Anthony's Restorations/ curved glass,antique glass repair,Riverside CA. The Selected video demonstrates an actual view of what curved glass looks like. Most glass for curios and hutches are slumped glass of a half to a full moon style, left and right side or center of the curio cabinet. 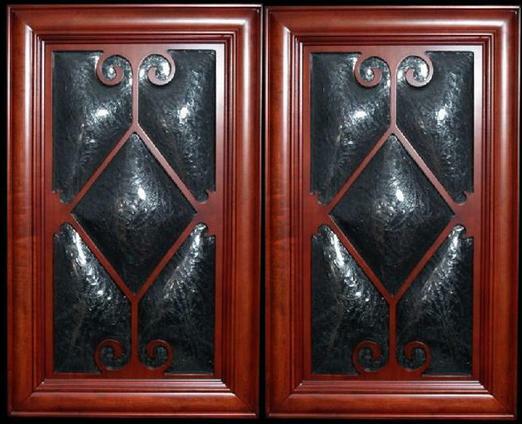 The decorative glass viewed below comes with a fauxed panel insert of custom or simple design for any focal area, making a distinctive impression in your home . Inserted is a flat double strength glass rear side of the front glass for a nice look. 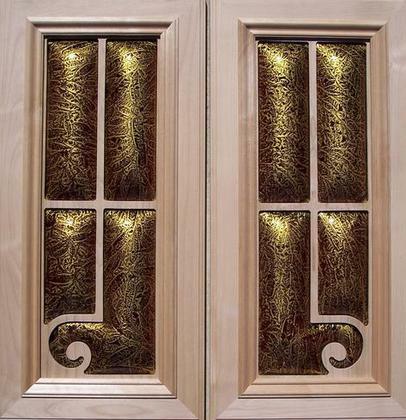 Send in a photo of your cabinets or get your glass included with refinishing to the existing units.